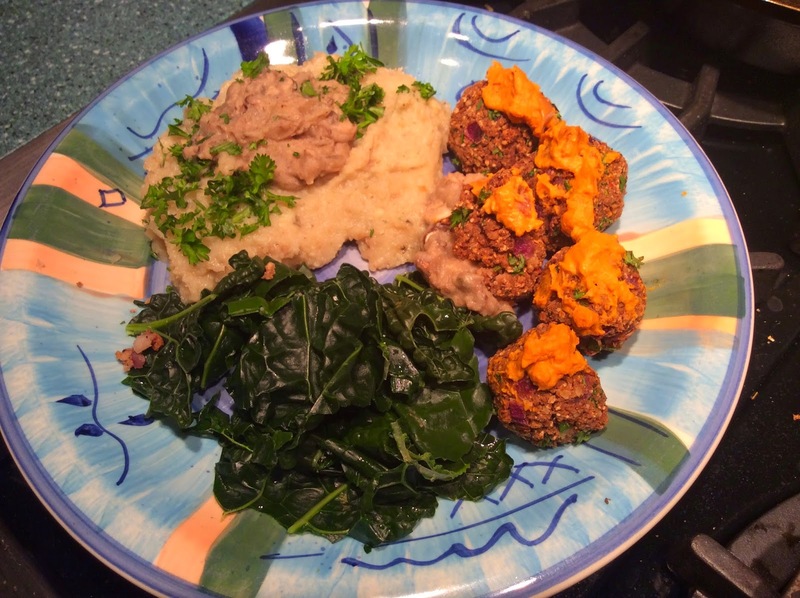 Last week I was inspired to make Jason Wrobel's "neatball" recipe so that I could bring a warm dish to a potluck but I didn't have a lot of time to prepare. 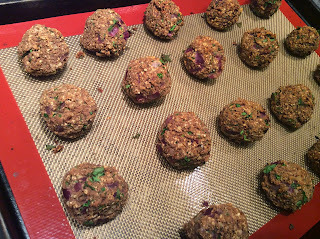 This recipe is very simple to make since most ingredients are processed together quickly and then formed into balls and baked. Here is the original video and recipe from JWro and my modified take below. I did not have any prepared seitan on hand, so I used pressed tofu and mushrooms to give a meaty yet soft juicy texture. Preheat oven to 425F. In a large mixing bowl, combine the tofu, breadcrumbs, parsly, chili powder, flax seed and nutritional yeast. In a saucepan, dry saute (or use oil) the onions until they soften a bit and then add the garlic and thyme, salt and pepper. Add the mushrooms and saute for about 5-minutes deglazing with the red wine. When your onion mushroom mixture has released most of its water and well-carmelized, do a final deglaze with the remaining wine and then add to the bowl with the tofu mixture. Mix with wet hands, form into balls and arrange on a baking sheet lined with parchment paper or silicone baking pad. Bake for about 15-minutes at 425 and finish warming in a marinara sauce or 20-minutes for a firmer, drier texture. 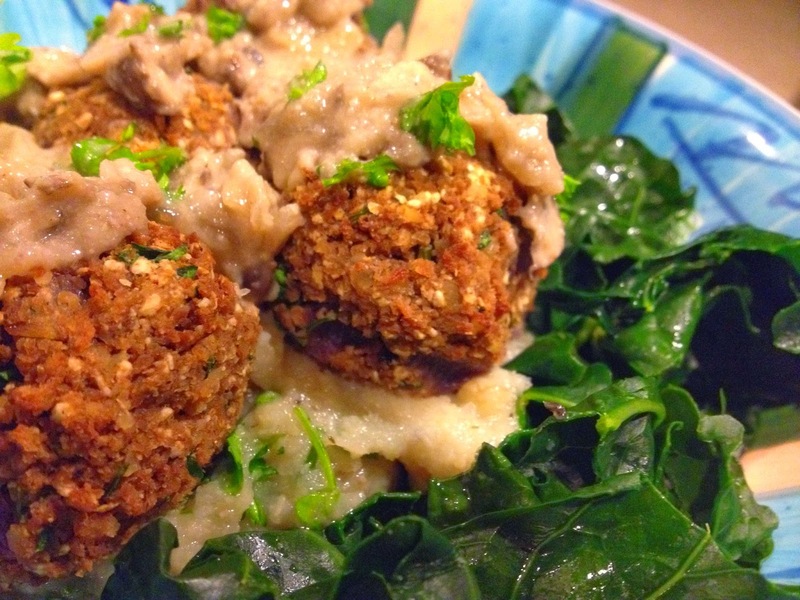 These go great with JWro's mushroom gravy or a nice cheezy sauce and a side of mash and steamed greens.